ARTB facilities are located at the University of Auckland’s Faculty of Medical and Health Sciences opposite Auckland Hospital in Grafton, as well as at Middlemore and North Shore Hospitals. This makes it easier for consenting Auckland patients from across the region to allow their left-over tissue or blood samples to be stored and used in a culturally appropriate way for medical research. It means that research scientists can access donated tissue, blood and related medical data for ethically approved research, as well as getting advice on ethical and cultural issues and support on governance matters. 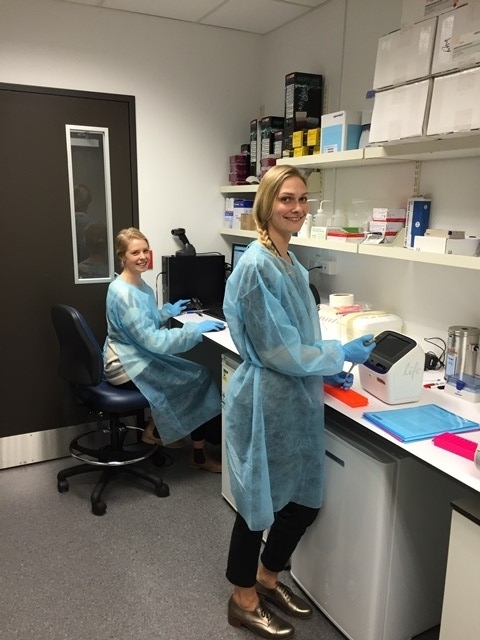 As the ARTB grows, we will collaborate with tissue banks in other parts of New Zealand and will facilitate medical research across the country. The Auckland Regional Tissue Bank seeks to facilitate the gifting and responsible use of tissues from consented patients in ethically approved research. As part of the Auckland Academic Health Alliance’s discovery to care continuum, it promotes understanding of health and disease and development of new diagnostics and therapies in Auckland. Its operation follows well-defined processes that fully comply with New Zealand’s ethical and regulatory requirements. Furthermore, in acknowledgement of the Treaty of Waitangi the Auckland Regional Tissue Bank incorporates tikanga Māori in its processes. An academic arm of the tissue bank leads development of future tissue banking practices including tikanga and emerging ethical protocols to meet the changing research environment. Representatives from mana whenua are involved in the ongoing governance and scientific guidance of the Auckland Regional Tissue Bank. Our name Te Ira Kāwai - Auckland Regional Tissue Bank, is enormously important as it sums up who we are and what we do. The Maori translation and nuances cover the concepts of a DNA strand, life principles and whakapapa. Te Ira Kāwai are Kaitiaki (Guardians) of all donated tissue. We take this role very seriously, and will ensure tissue is respected and cared for, at best-practice standards and in culturally appropriate ways. More information on our name and respect for cultures is available at our For Māori and For Pacific pages.